Stress is seen, sometimes, as a precursor to injury. One might hear a coach say quite frequently that “x” exercise is bad because it is too stressful for the arm, knee, etc. Coaches say this quite frequently when it comes to weighted balls and upper-body exercises in the weight room. I’ve heard it my whole life for a reason not to do something athletically. Bench-press is too stressful on the shoulders, basketball is too stressful on the knees, squats are too stressful on the spine; this list can go on and on. But what does it really mean and is it truly bad? The honest answer is…it depends. You see, according to the Physical Stress Theory (PST), specific thresholds define the upper and lower stress levels for each characteristic tissue response. The tissue responses to physical stress are atrophy, maintenance, hypertrophy, injury, and death. Another way of saying this is that if we don’t stress the body enough, we have atrophy (muscle loss), or if we stress the body too much then we have injury. We want to be in the hypertrophy phase, otherwise known as the “increased stress tolerance” phase of tissue tolerance. This means that our muscles, bones, and ligaments now are able to withstand more stress than they could before. We want this to happen periodically throughout the year. How do we use this knowledge to our advantage? Let us start with the basics. If your kid pitches year around, you are risking the injury phase of PST. That is too much throwing, especially for someone under 20 years of age. 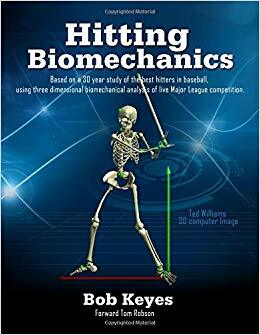 The excuse always becomes, “But he is only throwing 1 inning a week, 25 pitches max.” It does not matter, there is no recovery period for the tissue to adapt; it is constantly under stress which is going to cause an injury. The counter argument to that is, “but if he does not pitch, then he will get behind other players in development,” or, if you want to throw my words back in my face, it becomes, “but he will fall into the ‘atrophy’ stage of PST.” The first argument is invalid, because many of professional and college baseball players played multiple sports growing up, thus limiting their “practice” time and still ended up competing at a higher level than their peers. The second argument is valid, but I will explain later in this blog on how to counter this. What actually happens when we throw a baseball? When we throw a baseball, it is inherently risky for the arm. However, it is 100% necessary for us to do if we want to play baseball. Every time you throw a baseball, a number of things occur in the arm alone. You will lose range of motion (ROM) in the throwing shoulder, specifically internal rotation which has been linked to higher injuries. We lose scapular function, as the scapula loses its ability to glide normally along the rib cage as we head into shoulder abduction while throwing. We lost anterior shoulder stability, which then causes the humerus to move around the glenoid socket and is also a precursor to injury. We lose rotator cuff strength and rotator cuff timing. Timing may not seem important, but when the muscles turn on and off during a throw is of the utmost importance. Finally, we can cause tissue damage, which can be a good thing or a bad thing depending on how subsequent hours are used after damage occurs. Tissue damage is always occurring when doing an athletic movement, exercise, or lift. It’s what is done after that damage occurs that is important. This is why recovery is so important. When tissue damage occurs, it’s important to go through active and passive recovery protocols. Recovery aids the tissue in adapting to a new normal. When the tissue is damaged, it will recover, or adapt, to the new stress that is put on the body. This highly depends on your protocol. Active recovery is done through light athletic movement and stretches; passive recovery is done through stem machines, diet, and just pure rest. If you do not have either of these, the tissue is not adapting, or recovering in time for your next appearance, lift, or athletic activity. If the tissue does not recover, then it is continuously being damaged and thus will end up in the injury phase of PST. There is a flip side to this argument though. If we are not throwing enough, then the tissue is not adapting enough for the stresses of a game and may also result in injury. This may seem confusing but hear me out. If you do not throw a baseball enough, then you will be in the maintenance, or atrophy phase of PST. This can cause an injury because if you are not physically prepared for the stresses of a game situation, tissue will break down too fast and cause an injury. When you cause just enough stress for hypertrophy, or adaption to occur, your bones become thicker, tendons and ligaments become thicker, and muscles will become bigger. If this adaptation does not occur, then going out and trying to throw 90mph on the mound will end only in disappointment or worse, catastrophe. So, what do we do? On one hand, throwing a baseball too much will cause injury. On the other hand, not throwing enough will cause injury as well as underachievement because the body is not adapted to throw a baseball 90 mph. There is a tried and true formula for getting yourself ready each and every season. I will lay it out for you now. Take a 2-4 month “Off-Season” every year, depending on age. Yes, you need to take time off from throwing every year and this is highly dependent on your age. If you are under the age of 14, I think it needs to be closer to 4. The higher your level is, the less time you need but notice how the minimum is 2 months. Also, what you do during these months is crucial. Sitting at home crushing Cheetos and playing video games is a non-starter. You need to be active in something else. If you’re in high school, at minimum it needs to be another sport, and at best it needs to be lifting AND Physical Therapy. You may think you don’t need physical therapy, but as I stated in one of the above paragraphs, a lot happens to the arm when you throw a baseball. You may not be injured, but you need to regain these movement patterns and strength before heading into the next season. Remember, ‘active recovery’ is how tissue is adapted and changed, and if we do not take time off (passive recovery) coupled with PT (active recovery), we are not creating gains to be better. This is also coupled with lifting, which teaches the body to produce and accept force. If you are younger than 14, you need to play a different sport. This is non-negotiable in my opinion. If your son does not want to play another sport, you need to be the parent and tell him the playing baseball year around at a young age is bad for him. You may think it’s okay because he’s outside, he’s with friends, and he’s enjoying life. I am 100% for that, but if his goal is to play professional, he will have a greater chance of having overuse injuries by the time he reaches high school and beyond, or worse, retard his athletic ability because he learned no other athletic skills besides hitting and throwing. If his goal is to just be with friends and has no interest in baseball long-term, then by all means let him play. However, the body needs to learn other movements and athletic skills. Side to side movement, running back and forth, pivoting, agility, and explosiveness. These are not all learned in baseball, and learning is expedited if he plays another sport. Following the “Off-Season” is a pre-season. This pre-season we usually reduce lifting a bit and start our throwing programs. This is where we increase the ‘stress’ on our arms but we aren’t pitching yet. This is where we long toss and throw weighted balls. We are systematically increasing the stress on the arm that creates an adaptation, but not throwing too much to create an injury. Pitching in bullpens comes at the very end of this phase. One may wonder, “When do I get to work on my pitches?” You do not need to be in a bullpen to work on pitches. At the end of every throwing session, as you work your way in from long toss, you will stop at your pitching distance and work on your pitches with your throwing partner. This has to happen every time you throw. Work on spin, movement, and location. The Season consists of your competition. The season length depends on age. There is no reason for a 9 to 10 year-old to play 8+ months out of the year. That borders on insanity. This also happens to be the hardest part of the season for most players because you are trying to manage pitching workloads as well as lifting workloads and when to throw between outings. There is no way around this, but your competition season is a managed decline. Your arm gets tired, your tissue breaks down, and there is not enough time to recover from outing to outing. This is normal. But we need to recognize that as the season goes on, you do not feel as good and your body is breaking down. Ask any big leaguer how they feel at the end of the season and they will tell you this: tired. You may ask though, “But how are they still throwing hard and well at the end of the season if they are so beaten up?” They will also answer it this way, “I believe it is my off-season strength and conditioning program that has held me together this year.” They do not feel fresh or recovered by season’s end. In fact, by the time they get into post-season, they are running on pure adrenaline and grit. They know that they are getting worse and less sharp, but so is everyone else, so it evens itself out. Let me absolutely clear about this. Your competition season needs to be continuous. For those of you out there, and those of you that know me, your “Fall-Season” is complete and utter B.S. Baseball is not meant to be played in the fall unless you are in the Big Leagues. It’s a waste of time and if you start doing the math, it adds up every year to competing in a game, and on the mound, for more than 11 months. If you are here in Southern California, you start playing in January. Do not lie to yourself, you do start in January. You then play continuously until the beginning of August. Then August is off, to be right back at it in September, and you play continuously until the beginning of December. Where is your Off-Season and Pre-Season? It’s nowhere to be found. You do not get better by pitching year around. “But Matt, my kid has pitched year around since he was 8 and he has done nothing but improve.” This is called growing. Your kid has increased size and strength since he was 8, the only way to go is up. It will level out once everyone catches up, I can promise you that. Yes, he got better, but you are leaving a lot on the table by not following a structured year plan. This a very long and lengthy blog post, but my blood gets boiling just thinking about the stupidity that is high school and youth baseball. I have more qualms with MLB and college, but that’s for another time. This is supposed to shed some light on how the body responds to certain stresses. We need to throw to get better, that is a must. But if we throw too much then we are setting ourselves up for injury. If not now, then in the future. We need to be diligent about how we structure our throwing programs on a year to year basis. You need to take control of your life and career. Do not be swayed by punitive coaches who tell you that you and your son need to play now to be better. Or the one that threatens playing for pitching 30+ innings in the fall. Screw that guy, he’s a loser and always will be. The best thing to do is get educated on the subject and then tell the coach to go screw himself. We want your kid to be good when he’s 18, when the scouts are coming around, not when he’s 14 and he can’t shave yet. I hope this blog will help you get educated on what you and your son need to do to be better when it matters most.